It’s always a great time for a hike in open space. That’s one of the best parts about living in the Bay Area — we can enjoy the outdoors all year long! But knowing the best times to explore our many trails can be a challenge. 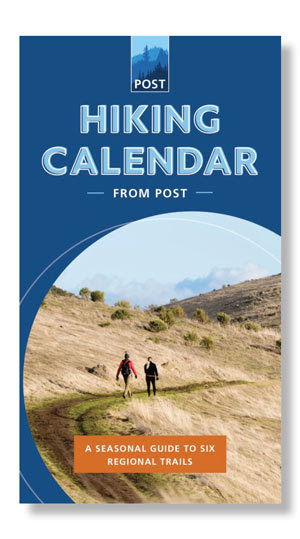 We’ve made it easy for you with our new Hiking Calendar. Consider it your seasonal guide to our regional trails! Now you’ll know just where to go for the best regional trail experiences each and every month of the year. Get timely tips for hitting the trails this December and start 2018 on the right foot by downloading your new Hiking Calendar. And we have more exciting news! We just protected another 26 acres of beachfront property on the San Mateo Coast, closing a significant gap in the California Coastal Trail. This property is adjacent to POST-protected Wavecrest Preserve and our partners at the Coastside Land Trust will be taking the lead on its day-to-day management. Finally, as we approach the end of the year, we want to say an extra “thanks” to you. We wouldn’t be able to do what we do without your engagement and support. From all of us at POST, we wish you the very best this holiday season! Photos: Sunbeams over the POST lands, Teddy Miller 2016; Preview of DIY video, POST 2017; Coyote Valley aquisition, POST 2017; Oaks of Silicon Valley, Teddy Miller 2016; Wallace Stegner Lecture Series, POST 2017; Kayaker at Bair Island, Jordan Plotsky 2017.